Todd G. Shields became dean of the J. William Fulbright College of Arts and Science on March 24, 2014. He joined the university in 1994 as an assistant professor of political science. He was promoted to associate professor in 1999 and to full professor in 2005. Shields’ administrative experience began in 2000 and includes tenures as associate director for the J. William Fulbright Institute of International Relations, chair of the Department of Political Science, founding director of the Diane D. Blair Center of Southern Politics and Society, interim associate dean of the Clinton School of Public Service and dean of Graduate School and International Education. A life-long learner, Shields attended the Management Development Program in Higher Education at Harvard University and the Summer Institute in Political Psychology at the Ohio State University. He has also been recognized for his commitment to student achievement, teaching and research excellence and commitment to growth and diversity. An accomplished educator and researcher, Shields has published dozens of journal articles and is the co-author or co-editor of several books, including The Persuadable Voter: Wedge Issues in Presidential Campaigns, which won the American Political Science Association’s 2009 Robert E. Lane Award for the best book in Political Psychology. He is the co-author of Unlocking V.O. 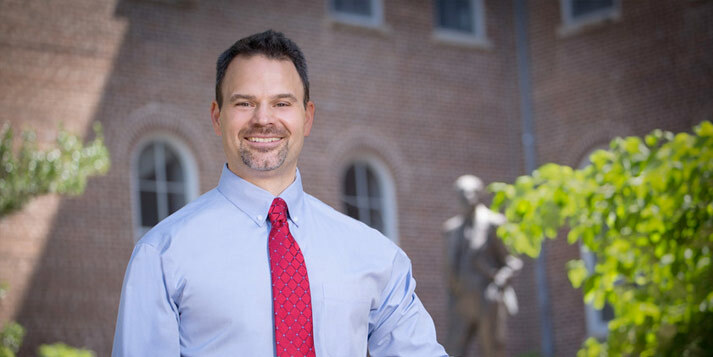 Key Jr.: "Southern Politics" for the Twenty-First Century as well as co-editor of The Clinton Riddle: Interdisciplinary Perspectives of the 42nd President and New Voices in the Old South: How Women and Minorities Influence Southern Politics. In spring 2000, Shields proposed creating the Blair Center of Southern Politics and Society in honor of Diane D. Blair’s 30 years as professor of political science at the university as well as her contributions to research, teaching and public service. The center was funded through a special Congressional appropriation in 2001. The center has financially supported graduate students, important regional polls, meetings, conferences, projects and most recently the national Blair Center-Clinton School poll. He served as the center's director from 2003-2015. He earned a doctorate and Master of Arts in political science from the University of Kentucky and holds two bachelor degrees, one in political science and one in psychology, from Miami University.